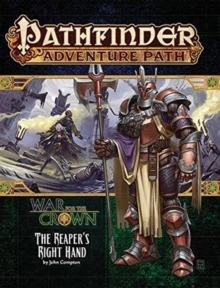 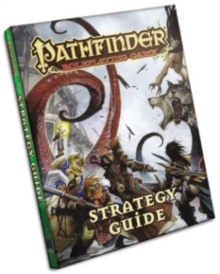 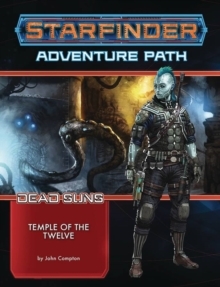 Nestled amid the shining deserts, rugged mountains, and mysterious jungles of the Inner Sea region's easternmost reaches, the legendary land of Qadira comes to life in the pages of Pathfinder Campaign Setting: Qadira, Jewel of the East. 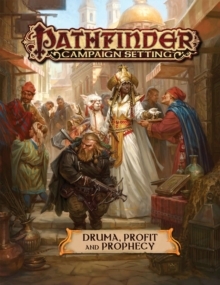 Much more than one of the richest nations along the Inner Sea, Qadira is a land rife with intrigue and adventure. 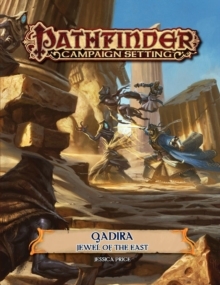 Be it the clash of powerful merchants in the heart of a sprawling metropolis or the sinister machinations of fell spirits from the depths of the trackless desert, Qadira is a land where any hero can rise to power and achieve untold wealth-provided you know the right person and don't step on the wrong toes along your way!